We are running two student competitions with deadlines approaching in October. One asks MYP, DP and CP students to create a short film or poster that demonstrates academic honesty. The other invites DP and CP students to create a short film that profiles, celebrates, or honours an IB teacher or coordinator who inspires them to exhibit one of the IB Learner Profile attributes. Find out more below and apply! Calling all Middle Years (MYP), Diploma (DP), and Career-Related Programme (CP) students: submit a film or poster to our academic honesty competition. 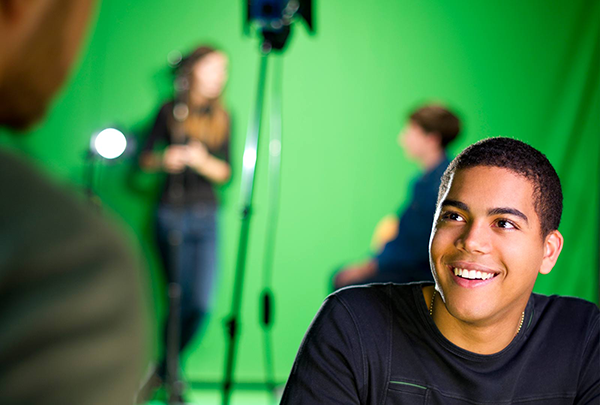 We set the challenge to students to create a film or poster which delivers the key message that academic honesty is fundamental to the education of every IB student. The winning entries will be showcased on this website and the students interviewed in a forthcoming edition of IB World magazine. Teachers make a lasting impact on the lives of their students, and we would like to show our teachers that we appreciate them and the positive impact they have on us all. We are launching a student film competition, encouraging IB Diploma Programme (DP) and Career Programme (CP) students to create a three-to-four-minute film in English, French, and/or Spanish that profiles, celebrates, or honours an IB teacher or coordinator who inspires them to exhibit one of the IB Learner Profile attributes. The grand prize winner will receive a complimentary registration to one of the 2017 IB World Student Conferences across the globe, a feature in our IB Global Newsletter, and a congratulatory letter from the IB Director General. The winner and two runners-up will also have their videos shown at all 2017 IB professional development and workshop provider events.